Use your iOS device from an extended, yet comfortable distance while connected to your Mac or PC! 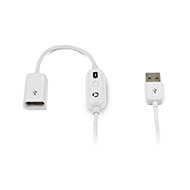 Designed specifically for use with any Apple® iPhone®, iPad®, or iPod®, the Newer Technology USB Extension Cable adds more than 78" to your existing USB cable for long distance charging and syncing. 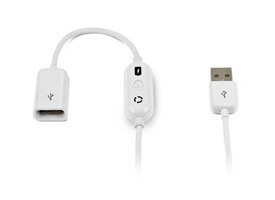 Rating: 5/5 2.0 Meter (78") NewerTech Sync USB Extension Cable February 12, 2016 This was designed for older iPods, but I added a lightning cable and use it for my iPad Air. Handy to have a super long cable from my computer to my work area, and if I don't want iTunes launching, I use the switch. Rating: 3/5 OK January 3, 2015 These extensions are helpful, but have had failures on 33% of them. Rating: 5/5 Work fine and error message on iPhone 5 June 7, 2014 I would recommend this item to a friend!